Alps Road Presbyterian is an ECO congregation. This is the Presbyterian denomination formed in 2012. It is the fastest growing denomination in the United States. As with all Presbyterian denominations, ECO has a representative form of government. This means we elect elders to govern the life of a local congregation. The word "Presbyterian" comes from the Greek word for"elder" and literally means "governed by elders." ThePresbyterian Church originated with the theology of John Calvin and theProtestant reformers in Geneva, Switzerland in the 1500’s. Our heritage runs through Scotland and was influenced by John Knox. The first PresbyterianChurch was founded in America in the 1700’s. There is life and excitement at Alps Road Presbyterian. The church was founded in 1910, on the corner of Prince Avenue and Milledge, where the Dunkin’ Donuts now stands. In 1969, it moved to its present site on Alps Road. The first building was a fellowship hall and classroom wing. In 1983 the church sanctuary was built and in 2005 the latest addition was added. Our Mission Statement is to - GATHER as God’s people, GROW as disciples, and GO into the world as ministers of Jesus Christ. These three simple verbs give us a pattern for our life together. We gather in worship and fellowship. We grow in discipleship through a variety of programs. We go into the world through local and global mission outreach and by inviting others to come grow with us. 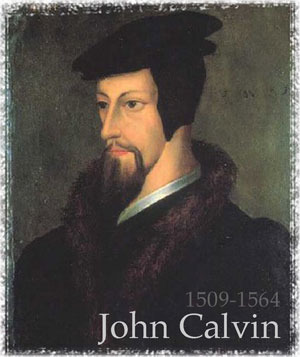 Being Presbyterian refers to a theological heritage started by Martin Luther and refined by John Calvin. The roots of the Presbyterian Church go all the way back to Protestant Reformation, led by Martin Luther. In 1517, Martin Luther nailed 95 “theses” or questions for discussion on the church door (the town bulletin board) of his town in Wittenburg, Germany. Because of the recent invention of the printing press, within two weeks Luther’s disagreements with existing church doctrine were circulating all over Europe. The Protestant Reformation had begun. Click here to learn more about the five key principles of the Protestant Reformation, the Five Sola's. What does "Presbyterian" mean? - Click here to learn more.